Who are the students of PV’s Class of 2017? Look inside to learn about 17 students and each of their respective stories. Seventeen Faces in the Class of...	Every graduate has a story. To get a sense of PV’s Class of 2017, here are 17 stories about students from our class. Star of the soccer field and of the student council, Quevedo is “el presidente” of Pascack Valley. Quevedo is both the poster child and the human embodiment of our school. We have also learned to love his vocal and fiery grandfather, who we’ve taken to calling “abuelo,” after seeing his unwavering support at every soccer game. meyer; we dare you. Many have tried and ultimately have failed, succumbing to sharp wit and quick rebuttals of the president of Pascack Valley’s debate team. A very vocal supporter of Republican Senator Marco Rubio, Beckemeyer will be studying business in the state and alma mater of her idol next year at the University of Miami. A Smoke Signal sports writer since his sophomore year, Aferiat has developed a passion for covering all things related to high school sports. Known for his blunt and venomous attitude, we have dubbed him “Jake the Snake.” He interned at the sports department of nj.com throughout his senior year and is planning to major in journalism at Pennsylvania State University next year. Did someone call for Prince Charming? We could swear that this handsome man was just whisking Cinderella away from her wicked stepmother and stepsisters. You might not think DiBari has much more than looks, but think again. He’s a guitar player, a singer, a decent Spanish speaker, and an all around well-respected member of our class. quiet demeanor and shy smiles, we would never expect Thomas to be such a skilled musician, playing the clarinet in the Pascack Valley Marching Band and Wind Ensemble and the guitar outside of school. She was even part of the spring musical “Pippin”, serving as part of the pit orchestra. And Thomas is not one-dimensional, as she also impresses us with her many computer skills. sending crazy mass emails throughout his freshman and sophomore year, Tomanelli has come to be the wild card of the Class of 2017. Whether it is posing with a pasta strainer on his head for his driver’s license picture or playing his guitar in the middle of an engineering class, we have learned to expect the unexpected from Tomanelli. for her unique and dark art style— which can be seen through her daily flashy and bold outfits. Her fashion is part crust punk, part glam punk, and part whatever she wants. An aspiring musician and tattoo artist, Kraus is waiting to see where life takes her. In any case, we doubt she’ll end up lost in obscurity, since it’s so easy to pick her out of a crowd. plan to make a career out of it when she joined, Aguero has become a master stage manager in PV’s theatre, praised for her ability to quietly command a group. We have never seen someone call her cues and manage a play quite like she can. Whatever career direction she ends up choosing, whether it be in medicine, marketing, or stage management, we know she will find a way to continue utilizing her talent of leading by example. struggled with eating disorders and depression, Berenshtein has used her personal experience to become a voice for change. While we were focusing on her operatic singing voice, she was starting up her “Need to bEAT” campaign, which aims to raise money for research about eating disorders. Despite all the challenges she has faced—and continues to face— Berenshtein is a true advocate in our class. and you might be able to catch some sick beats or bars from “Tylersraps”. We were blown away by his debut single “Too Late” and hope that there’s more on the way for this aspiring rapper. Judging by the talent he displays on social media, the future is bright for DiLorenzo. It’s definitely not “Too Late” to jump on his bandwagon. basketball court in Pascack Valley’s starting lineup, Culloo is hitting the books, studying hard for her next exam. We’ve learned to go to the valedictorian of the Class of 2017 whenever we need advice, help with homework, a laptop charger, or just moral support. We know Culloo as one of the most genuinely kind-hearted people in our class. name, both on the basketball court and in his personal life. We instantly think of Dominguez as PV’s star point guard, but are continually charmed by his charisma and character off the court. We look forward to watching him ball at Rensselaer Polytechnic Institute and giving us that signature smile afterwards. agree or disagree with his political views, we can all agree that Ochoa loves his country. A controversial figure because of his staunch conservative beliefs, Ochoa is never afraid to stir the pot through his pointed Tweets and replies. He leaves to serve his county as part of the Marine Corps Infantry on July 17.
proud is the name of the game for this charismatic and energetic gal. We have seen both Kochakian and her boisterous voice bounce off the walls of Pascack Valley for four straight years. Never afraid to burst out into song or tears in random classes, Kochakian is all about expressing herself and not caring what anybody thinks. Daniel lives and breathes the art of performance. We knew he could act from his many appearances in PV Theatre, but we were surprised to find he can also sing, dance, and even direct at one point. Since he plans to major in Musical Theatre at Montclair State University, it would not be a surprise if we are one day watching him on the big stage. seen Favorito around, perhaps dressed as Santa Claus during the holiday season. You may have heard his dramatic “narrator” voice when he reads things aloud in class. We all know Favorito to be an active member of the Pascack Valley’s award winning robotics team, but you might not have known that he’s also an avid filmmaker. He placed third in the New Jersey Filmmakers of Tomorrow Festival in 2014 and 2015.
we know, both physically and mentally. Inspired by the tragic passing of her mother when she was a freshman, Wrede has undergone a lifestyle change throughout her time at PV, losing 90 pounds and transforming from the freshman we thought we knew. She’s also one of the most artistically talented people we know, and who could forgot about her love for horses? Photo Contributed by Lucas Ochoa Pictured above (top row, from left): Matt Urrea, Peter Saks, Andrew Kohl, Shane Flanagan, Lucas Ochoa, Ryan Miller, Justin Sison, and Tommy Uhl; (bottom row, from left): Jaclyn Spellman, Shannon Geraghty, Jennie McCabe, Jodie Hoffman, and Laura McDermott. Several of Jack Farrell’s closest friends got together to promote suicide awareness in teens. Many members of the senior class posted pictures of themsleves with the above poster to spread the message across all forms of social media. of our editing staff. Enough time had passed that this was not an entirely raw topic in the school, but it was still relevant to the wounded community. The idea to delve into Farrell’s life— from the beginning to the end— was tossed around for a long time by our staff. Whether it was the fear of backlash or the need for meticulous and careful work to be done, the idea never materialized. Ryu’s story was the only thing we ever published on the website about the event. To this day, I am still not sure what the right course of action would have been. I have many regrets on the way myself and The Smoke Signal as a publication handled the tragedy. If I could go back, I think I would have handled it differently. What that means, however, in terms of what would have been published and what reaction we would have elicited, will forever be unknown. But, given the circumstances in real time, I think that we got it wrong. confident that this team can accomplish even more next year, and for years to come. Cohen is the longest tenured Smoke Signal member and one of the most skilled editors I have seen. Meanwhile, Gallo has a voice and a command that will translate well to a position of leadership. I have little doubt that this pairing will succeed in both working together and balancing each other’s strengths and weaknesses next year. I cannot imagine what my senior year would have looked like if I was not the Editor in Chief of The Smoke Signal. It was both an honor and a privilege to serve this publication, and I cannot wait to check the website daily from my dorm room at Rutgers University next year. Photo by William Rawson Pictured above (from left): Jamie Ryu, Sarah Schmoyer, Curstine Guevarra, Jake Aferiat, Kyle Comito, Madison Gallo, Kayla Barry, and Lauren Cohen. The 2016-2017 Smoke Signal Editorial Staff presents their plaque for being named the GSSPA’s Distinuighed Journalism Program for New Jersey’s Division B at October’s GSSPA Conference. 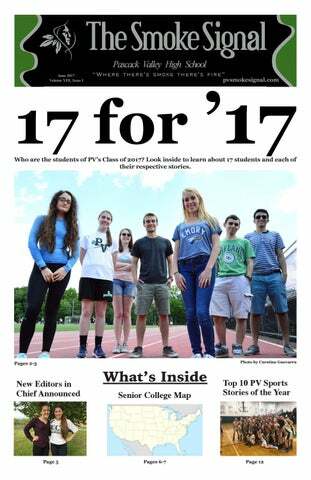 The Smoke Signal welcomes input from all members of the Pascack Valley High School community. Please contact Mr. Rawson for information (wrawson@pascack.org). Since The Smoke Signal is the voice of the student body of Pascack Valley High School, opinions expressed in this newspaper do not necessarily reflect those of other Pascack Valley students, teachers, administrators or the Board of Education. 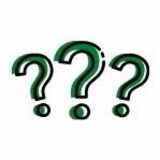 Articles are often reproductions that first appeared online and were deemed accurate at the time of original publication. August 2013: Pascack Valley introduces new Macbook Air laptops in continuation of 1:1 laptop eLearning Initiative. September 2013: The Class of 2017 begins its time at Pascack Valley. December 2013: Pascack Valley’s football team wins State Sectional Final in Metlife Stadium against Paramus. August 2014: The Smoke Signal goes online for the first time in its history; pvsmokesignal.com is born. September 2014: PV introduces new “Pascack Schedule,” which consists of rotating periods and two days of “block” classes per week, plus the new once-a-week Pascack Period. September 2015: PV transitions from four distinct marking periods to one, cumulative grading period. September 2016: PV transitions from one cumulative grading period to two-semester grading. December 2015: With the change in marking periods comes the elimination of the traditional mid-term examination week. The final examination week is also eliminated. October 2016: Choir Director and music teacher Mrs. Argine Safari wins NJ Teacher of Year. December 2014: PV’s football team wins second State Sectional Final in a row, beating Paramus in Metlife Stadium yet again. November 2016: The district domain changes from pascack.k12. nj.us to pascack. org. November 2016: Mr. Andrew Lewis steps down as head volleyball coach after 21 seasons and multiple titles. ... since the Class of 2017 has been here? Ferbruary 2014: Pascack Valley hosts first ever “virtual day,” instead of day off, in response to large snowstorm. May 2014: Mrs. Bonnie Slockett hands over the reigns of The Smoke Signal to Mr. Bill Rawson. July 2015: Novell Groupwise is done away with as PV’s main email system. The Pascack Valley District switches all students and faculty to Gmail. May 2015: The Smoke Signal publishes “Open letter to our community from the PVHS Human Rights League.” As a result, white supremecy becomes a hot topic at PV and the AntiDefamation League makes a visit. February 2016: “Virtual Days” make a return. Two block days are substituted with home-based instruction on February 2 and 3. These would be the last virtual days in PV’s immediate future. March 2016: Mr. Craig Nielsen steps down as PV’s head football coach after 15 seasons and 175 career wins. April 2016: The Pascack Valley Regional High School District passes a controversial transgender policy and the PV community reacts. March 2017: Girls Basketball team wins Group 3 State Finals over Ocean City and advances to the Tournament of Champions. March 2017: Students are told they are now allowed to keep their laptops thoughout the summer. June 2017: PV’s Baseball team ends drought by winning State Sectional Title for the first time in 51 years. who would freeze their butts off on a Sunday afternoon to support their friends. The kinds of kids that were at home watching their Twitter timelines to stay updated on the game. The kinds of kids who, if they weren’t interested in the game, were interested in participating in our community through the arts or academics. When that game finished and our team won on the final kick of the match, and I started running around in pure joy, I was thinking about how much this win meant to me because I loved representing our school, and bringing it success, pride, and joy. Photo by Curstine Guevarra The 2016 Pascack Valley Boys Soccer Team (shown above) won their league and advanced all the way to the Bergen County Tournament Finals and the State Tournament Semifinals before falling to undefeaed Ramapo both times. rest of the school, simultaneously lost it and that was the highlight of that Valley Cup. The third Valley Cup I’ll never forget is the last one. After finding no one else to do our dance, I was stuck doing it. Fortunately, my dance group and I were able to make the best of the situation, taking inspiration from the junior dance three years prior. I couldn’t really hear everybody laughing because I was too focused on catching [James] Nugent in my arms, but it seemed like everyone enjoyed watching it as much as I enjoyed doing it. These three memories only scratch the surface in demonstrating the amazing experience I had at Pascack Valley, but nonetheless they’ll always stick out a little more in my mind. Infographic by Kayla Barry Photo by Curstine Guevarra Pictured above (from left): Matthew Gomez, Jacob Ricco, Jack Devanna, Ben Daniel, James Nugent, and Drew Aral. The senior class performs their dance at their last Valley Cup in May of 2017. Data obtained from the responses to The Smoke Signal’s senior survey. Students were asked to name the amount of colleges they applied to, their favorite teacher at Pascack Valley, and what they planned on majoring in at college in addition to which college they would be attending. Here The Smoke Signal highlights what we feel is the strongest story we published over the course of the 2016-2017 school year. This piece, “Pushing back against cenorship”, highlights a few recent cases of administrative censorship in New Jersey. Specifically, this story focuses on Adelina Colaku (above), a former Northern Highlands High School student who dealt with censorship in her high school. This story required months of research, interviewing, and investigating for Smoke Signal Staff Editor Sarah Schmoyer, who even took a trip to Bard College to meet with Colaku. This story won a “Best of SNO” award from the School Newspapers Online organization. Top 10 Pascack Valley sports moments of 2016-17 By Jake Aferiat Noah Schwartz Josh DeLuca Number 10: Lewis steps down as volleyball coach After 21 seasons, head coach Andrew Lewis announced that this past volleyball season would be his last. During Lewis’s tenure, he led the Indians to a Bergen County title in 2003 and finished runner-up in the county tournament in 2005. Lewis will be replaced by PV alum, former All-County selection, and junior varsity coach Kate Lewis. Number 9: Matt Urrea accounts for 7 TD’s, 300 yards Matt Urrea, a senior running back, played the game of his life against Demarest this past season as he rushed for 6 touchdowns and 312 yards in a 48-42 PV win. He also threw a touchdown pass and kicked 4 extra points to contribute 46 of PV’s 48 points. His efforts contributed to head coach Len Cusumano’s first career win. ment win. Another lacrosse milestone, senior Conor Kimball recorded his 100th point of his career against St. Joe’s in the opening round of the Bergen County Tournament, becoming the program’s seventh player to reach the mark. Senior shooting guard Matt Vasel became the boys basketball program’s fifth ever player to record 1,000 career points after scoring 23 against Tenafly. He finished the season as the program’s fourth leading scorer all-time. The final milestone comes from senior hockey player Trent Shanley, who recorded his 100th career point in only three seasons and was one of only two Bergen County hockey players to score 30 goals this year. Number 8: Boys Bowling captures County title Pascack Valley won the Bergen County title for Group 3 and 4 schools with a total of 5,930 total pins. The Indians (2,857 total pins) also finished runner up to Indian Hills for the Section 1A title, despite posting the section’s best record at 6-0. Number 6: Resurgence of wrestling team For the first time in 11 seasons, the Indians qualified for the team state playoffs, capturing the fifth seed after missing out by 0.6 points last season. In addition to qualifying for the team state playoffs, PV also sent Matt Beyer, District 1 champion at 132 pounds, to the state tournament. baseball team top Morris Hills 14-4 and capture the North 1, Group 3 baseball title, the program’s first state sectional championship since 1966. The team finished with a record of 21-5 for the season. Other highlights include a no-hitter tossed by Issackedes, who struck out eight in the process, and a win against consensus state No. 1 St. Joseph’s Regional High School, in a game which PV won 6-1. The team eventually fell to Cranford in the Group 3 semifinals. PV boys soccer coach Roy Nygren won his 400th career game in a 4-1 win against St. Joe’s. He has spent 9 years as the head man at PV and also spent time coaching at Northern Highlands and Don Bosco. The Indians went 16-2-1 and fell to Ramapo by a score of 2-1 in the North 1 Group 3 semifinal. PV’s other loss also came at the hands of Ramapo, and PV never allowed an opponent to score more than two goals in any game. Athlete of the Year: Cassidy Freeman Number 3: Purcell wins Group 3 Pole Vault crown Melissa Purcell, a junior, placed first in Group 3 in pole vault in 2017 with a height of 12-0 and as a result was Pascack Valley’s only track and field athlete headed to the State Meet of Champions. Purcell will look to improve at the state Meet of Champions after taking fourth in the state in pole vault last year. Senior Cassidy Freeman had another strong swimming season, culminating in a third place finish in the 100 butterfly at the state Tournament of Champions. The time of 55.67 seconds that she posted in the state tournament was slightly better than her time of 56.36 seconds at the Bergen County Meet of Champions. No other PV athlete placed higher in the state in an individual sport than Freeman. She will continue her swimming career at Boston University in the fall. Number 2: Freeman swims to Meet of Champions The Smoke Signal’s Athlete of the Year, senior Cassidy Freeman, a Boston University commit, wound up taking third in the state in the 100 butterfly at the state Tournament of Champions, posting a time of 55.67 seconds and took second in the county at the Bergen County Meet of Champions with a time of 56.36 seconds. Freeman’s third place finish in the state is the best of any PV athlete competing in an individual sport. The Indians finished the season at 30-2 en route to their first Tournament of Champions berth since 2008 after winning the Group 3 title 48-45 over Ocean City. PV began the season 16-0 before ultimately falling to Old Tappan in the first round of the Bergen County Tournament, but then rebounded and won 14 in a row before its 70-50 loss to Jordan Issackedes Franklin in round one of the Baseball Tournament of Champions. Team of the Year: Girls Basketball Led by First Team All-County selections Kelly Petro and Brianna Wong, Pascack Valley’s girls basketball team wound up scoring over 61 points per game, which helped propel them to a 30-2 record and the Group 3 state title. PV won its first 16 games this season before Old Tappan snapped the streak in the opening round of the Bergen County Tournament. The Indians, anchored by Petro and Wong, as well as Shannon Culloo, Brianna Smith (Third Team All-County), Toriana Tabasco and Kelly Smith (Second Team All-County), then won 14 in a row, including their first state title since 2008 and sixth overall after beating Ocean City 48-45, giving them the Group 3 title and a berth in the Tournament of Champions, where they ultimately fell to Franklin by a score of 70-50.